Architect and historian Steve Wiser will lead a talk July 21 at the Conrad Caldwell House in Old Louisville. 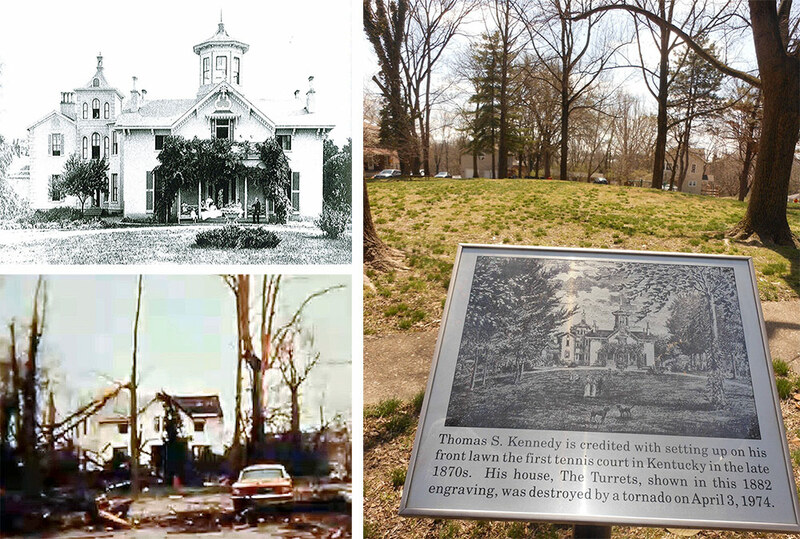 While Louisville is known as a great place in which to live, and there are many nice houses in the metro area, the city has also lost many fine homes over its history due to fire, urban renewal, and demolition. Next Thursday, July 21st, from 6:00 to 7:00p.m., I will be giving a talk on the “Lost Houses of Louisville.” The lecture will be held at the landmark Conrad Caldwell House (CCH), 1402 St. James Court, in Old Louisville. Tickets for non-CCH members cost $10 or you can become a member of the CCH and attend future lectures for free. Ivywood, located where Atherton High School is now, was the estate of William Richardson in the Dundee area between Newburg Road and Bardstown Road. Richardson was president of the Northern Bank of Kentucky. His residence was designed by the notable architect Henry Whitestone, and features multiple stories with a central tower. The property was a well-landscaped environment. Richardson married the daughter of William Short, a botanist, who owned the nearby “Hayfield” estate on Tyler Lane. 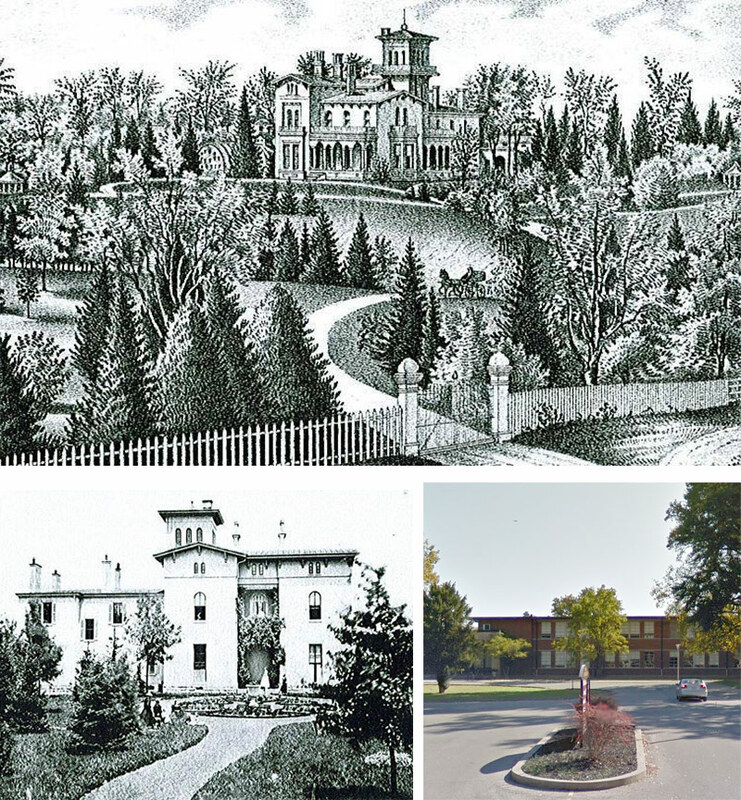 Frankfort Avenue was once lined with grand estates: Peterson, Chatsworth, Hite, and Clifton / Frantz. But the grandest was “The Turrets,” the home of Thomas Kennedy. Located on what is now Kennedy Court in Crescent Hill, The Turrets was two-stories with a tower and a large cupola on top. Architect Isaiah Rogers and possibly William H. Redin might have been involved with the design. Kennedy was in the insurance business, and his father, Matthew Kennedy, was a Lexington architect. This house was originally known as “Fairview” since the old Fairgrounds was located opposite on Frankfort Avenue. What happened to this magnificent house? It deteriorated over time and the April 3rd, 1974, tornado destroyed what was remaining of it. The property is now a park. During the talk, I will provide a slideshow with numerous images and histories of many historic houses that no longer exist. Seating is limited, and you will need to RSVP for this talk. Call 502-636-5023 or click here for more information. Did the house pictured to the left of Puritan Apartments belong to Henry W Barret with original address 1344 S 4th St? I’ve been trying to find pictures of it for a long time, because the current fence on the corner of 4th and Ormsby is exactly the same fence we have, and no other house seems to have it. I’m trying to make a connection between the two properties. Does anyone know the details of Ivywood being sold or demolished to make way for Atherton High school. Was it left in disrepair?